Starting a food business is hard. We have spent the last 11 years helping small businesses get started in the food retail industry. Use the graphic above to plan out your path to success. Then give us a call. Please note the difference between San Diego County, State of California and FDA requirements. 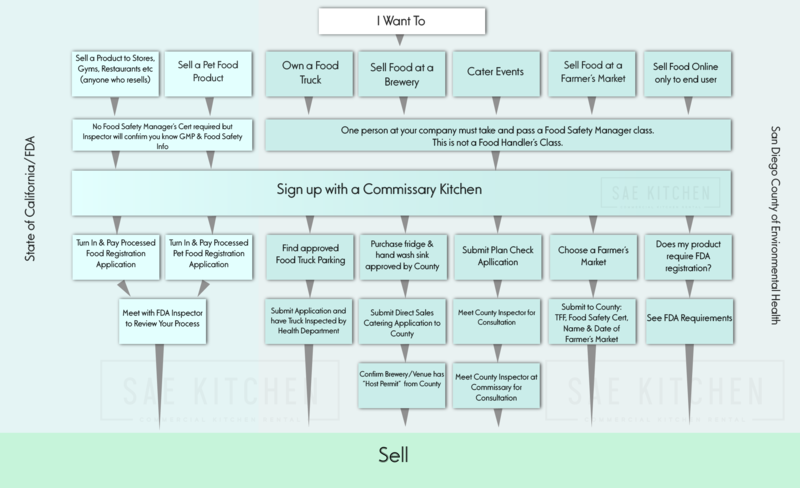 Whether you are starting a catering company, bringing your family recipe to market, or rolling out your food truck business plan, you'll notice the need for a licensed Commissary Kitchen. Commonly called a "Commercial Kitchen" or "Industrial Kitchen", it's a dedicated space for the preperation and storage of food products. It must meet and adhere to the strict health standards and regulations set out for Commissary Kitchens. It must recieve a license from the applicable authorities in the area. For San Diego this means the County Department of Environmental Health. We've done it three times...it's not easy. So instead of building your own, come share ours. Rent it by the hour, for however many hours you need. Find out more then visit our online booking app. While we can't actually do the paperwork for you, we have learned a lot over the years on expediting the process. No matter if you're aiming for a Farmer's Market, or grocery store shelves, you need to look the part. From your packaging and labels to your website and email signature, make your company look as big and professional as possible. The County of San Diego and California State websites have a few online forms. While they can save time, don't assume that they are being seen by a person. Sometimes they can get caught in spam filters, passed from desk to desk or just plain forgetten. We've heard horror stories of weeks going by, until our client finally called and realized their application was never even received. We love being at the forefront of food business trends. 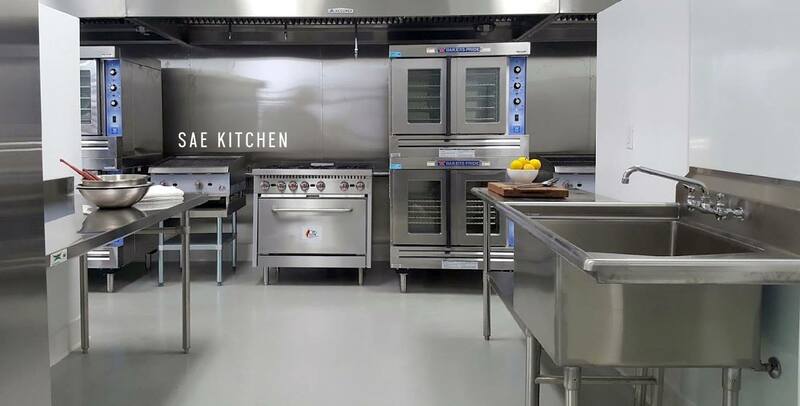 We have seen dozens of companies get their start with Sae Kitchen and go on to bigger and better things! Make today the day you become one of them. Book. Create. Sell.